Home Flow Big Data Europe And Tech: Who’s Hot? Silicon Valley showed the world how powerful and inspiring a strong tech sector can be, to an entrepreneurial culture and a nation’s economy. It’s no surprise, now, that everyone wants in the game. 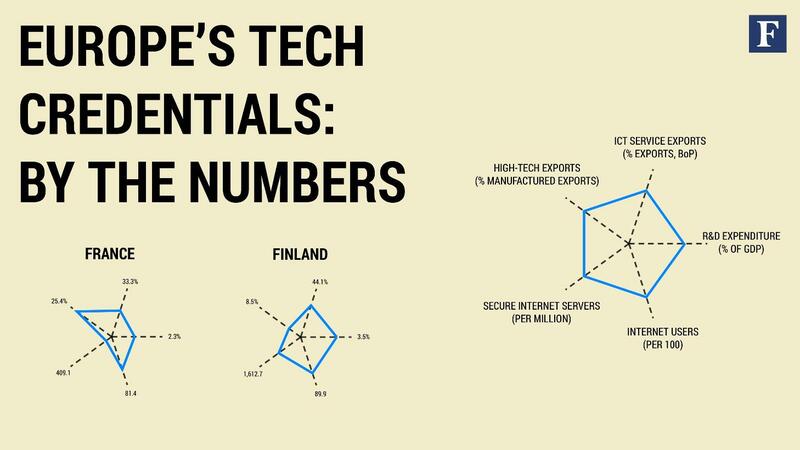 The world over, countries are pushing to develop their tech credentials in a big way. Europe – connected, with a strong middle class and dotted with educational institutions of merit – is proving a healthy breeding ground for tech startups and founder culture. Let’s be clear, though—no European center of technology comes close to matching the entrepreneurial factory of Silicon Valley. That sprawl of hills by the San Francisco Bay is home to the highest concentration of tech talent and eager money on the planet. Despite the developing resources within European tech hubs, you’d be hard-pressed to find an ambitious entrepreneur on the continent who wouldn’t choose Palo Alto or Mountain View as a base for a new enterprise over their home turf. Given its desirability and its resources, it’s unlikely any city or region in the world will come close to the Valley in the near future. Still, Europe has its bright spots. 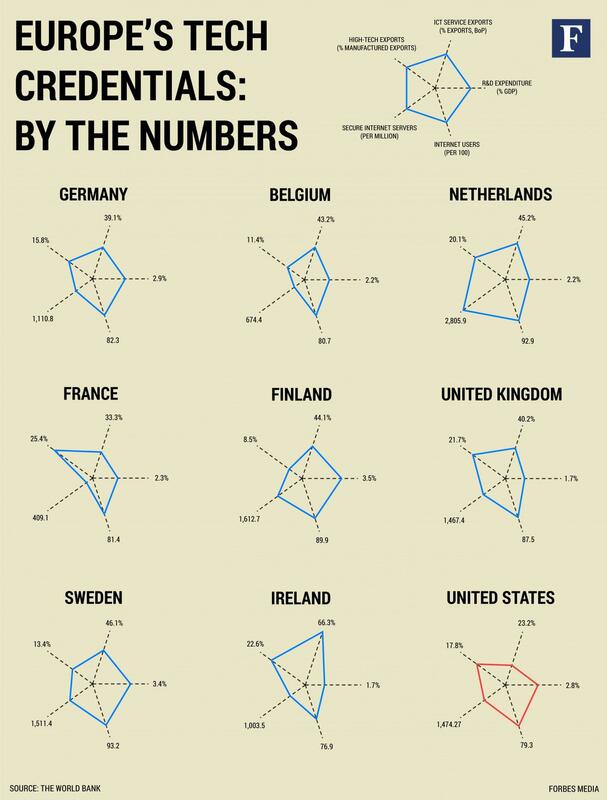 Last year the European Commission rated its top tech hubs based on complex indexes of data on information and communication technology research, education, employment and reams of other data. Germany’s city of Munich took the top position, followed by East London, in the UK; and Paris, France. Is Munich really top of the heap in Europe, or even in its home country of Germany? Serial entrepreneur Adeo Ressi doesn’t think so. Ressi, whose incubator Founder Institute operates in 100 countries and growing, says that distinction goes to Berlin. Regardless of which stadt stands supreme, some shining stars in Deutschland include Rocket Internet which operates like an incubator-holding company-venture investor hybrid—developing different firms within its walls, often copying companies successful in other markets. The company went public and is now capped at $8.17 billion. Shields and London Mayor Boris Johnson recently toured the United States, visiting stateside cities to boast of the UK’s tech credentials while offering a platform for a handful of British startups to plead for funding from U.S. investors. According to FORBES tech reporter Alex Konrad, who saw Shields and Johnson’s display firsthand in New York, said the results of London startups in capital raising are positive, if a tad meager. Paris startups have traction, despite a less than stellar business-launching climate. Internet advertisement firm Criteo, which started up in 2005, raised north of $250 million in a 2013 IPO. Today its capped at over $2.6 billion. Deezer, a Paris-based song database has raised about just short of $150 million in capital since its launch in 2006 and video sharing app firm, Dailymotion raised $68 million before being snapped up by Madrid-based telecom player Orange less than two years ago. Dailymotion almost wound up in Yahoo!’s stable but a majority stake sale by Orange was blocked by French Minister Socialist industrial renewal minister Arnaud Montebourg, who said he didn’t want on of France’s best startups to be controlled by an American company. France and other nations looking to up their tech cred are going to have to face the fact that government has to facilitate, not block, business deals in the sector. Developing a Silicon Valley-type tech hub means making it easier for entrepreneurs to do what they do best.